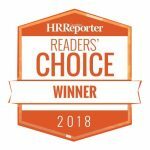 York University’s School of Human Resource Management (HRM) took home top place in the Education categories in the 2018 Canadian HR Reporter Reader’s Choice Awards. 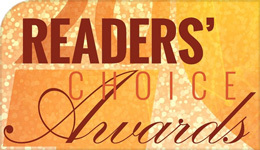 About 3,000 readers representing a wide swathe of the HRM profession cast votes. All four of the School of HRM’s programs were selected as winners in their respective categories, including the Certificate in HRM, Degree Programs (BHRM), Master’s Program (MHRM), and PhD HRM Program. “We are delighted to be recognized for the quality and excellence of our programs,” says Professor David Doorey, Director of the School of HRM at York University. “Being recognized by our peers, our graduates, students and experts in the field, right across Canada is validation for the hard work that our faculty and staff put into the School and our programs everyday." The School of HRM edged out HRM programs offered by other institutions, including the University of British Columbia, the University of Toronto, Queen’s University, and Humber College. The School of HRM is Canada’s largest learning institution in the broad field of HRM, with over 1,000 undergraduate and graduate students and 14 full-time faculty with a broad range of expertise, including organizational behaviour, industrial psychology, human resources, HR analytics, labour and employment law, and industrial relations.